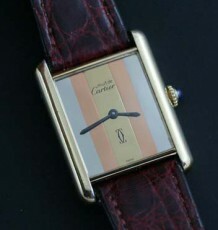 If you have been looking for a genuine Cartier replacement bracelet for your Cartier Pasha Chronograph, look no further! 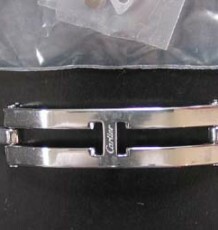 This all-original Cartier bracelet is brand new and unworn. 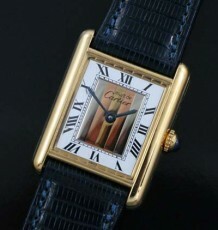 It is even still wrapped in the factory blue plastic. 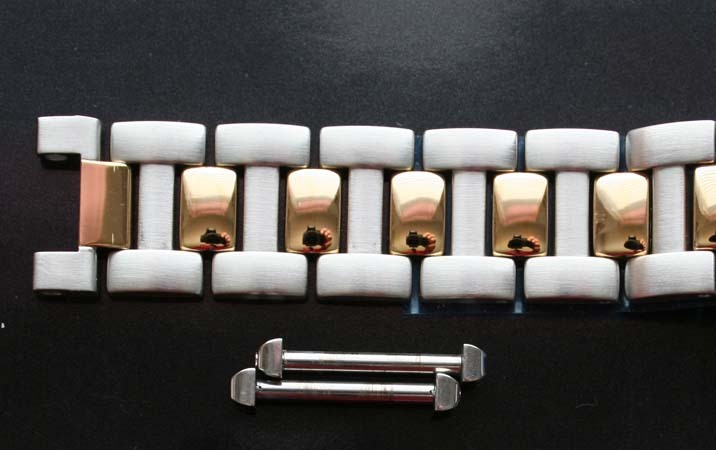 This model can replace the existing 2-tone bracelet on your Pasha or convert your steel chronograph to a 2-tone steel and gold model, something my wife did with hers, as it allowed her to wear it more often with more outfits. 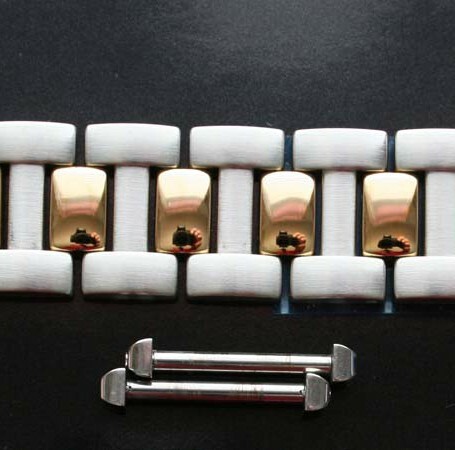 The bracelet is the full 6.5 inches in length. 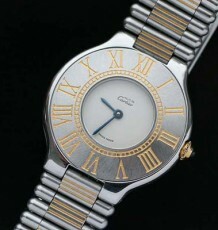 Price this one out through Cartier, I know retail in Canada is $4800.